Teaching two-legged robots a stable, robust “human” way of walking – this is the goal of the international research project KoroiBot, which is named after Koroibos of Elis, the first recorded Olympic champion in history. 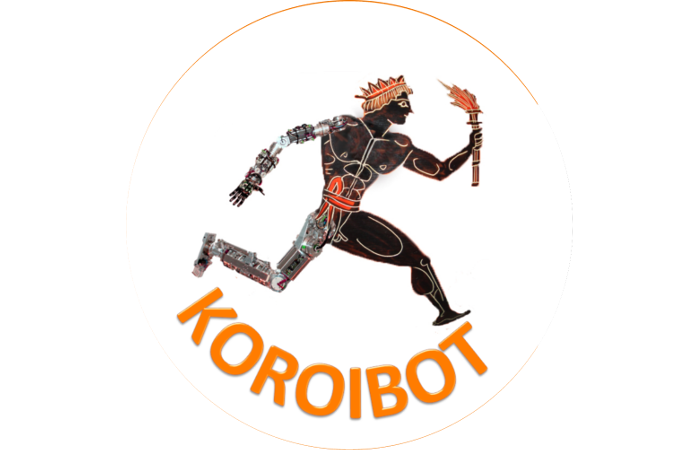 KoroiBot is funded by the European Union from October 2013 on for three years and gathers an interdisciplinary consortium from the areas of robotics, mathematics and cognitive sciences. Whether as rescuers in disaster areas, household helps or as “colleagues” in modern work environments: there are numerous possible areas of deployment for humanoid robots in the future. One of the major challenges on the way is to enable robots to move on two legs in different situations, without falling – even in unknown rough terrain and under possible perturbations. In the KoroiBot project, we will study the way humans walk e.g. on stairs and slopes, on soft and slippery ground or over beams and seesaws, and create mathematical models. Besides developing new optimization and learning methods for walking on two legs, we aim to implement them in practice on real robots. In addition, the research results are to flow into planning new design principles for the next generation of robots. Besides the targeted use in robotics, we expect possible applications of the methods in medicine, e.g. for controlling intelligent artificial limbs, designing and controlling exoskeletons as well as in computer animation and in game design. Financial support by the European Union within the 7th Framework Program under Grant Agreement No. 611909 is gratefully acknowledged.